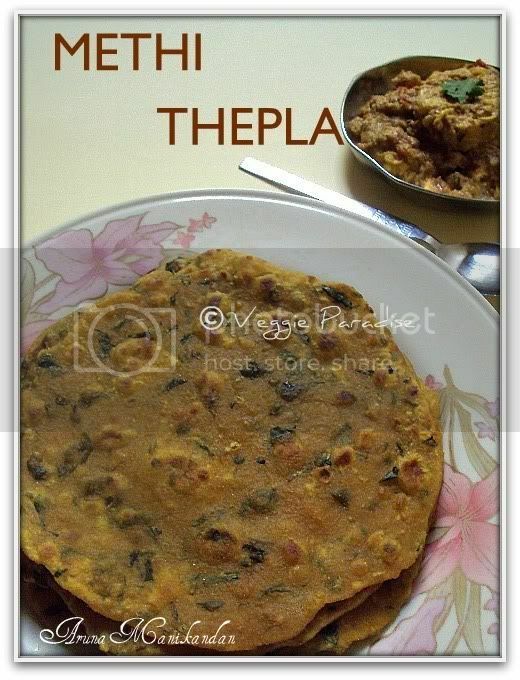 Methi Thepla is one of the popular dish in Gujarat. It is a very healthy and nutritious food,which is ideal for any kind of travels. Combine the flours, asafoetida, spice powders and mix it well. Add yoghurt, oil, salt , methi and coriander leaves . Mix them well. Add water as needed and knead the dough until smooth and firm. Take a lemon sized ball from the dough , dust it in flour and roll them into a flat , thin and round shaped one. Heat the tawa, place the thepla's and drizzle oil on its sides. When both sides are cooked well, remove from the tawa and serve it hot. Honey & Thepla is the best combo! Theplas are favourite travel box food, always love them. Yours look really soft and wonderful. Passei para ver a receita do dia. Such a delicious and healthy recipe.. looks perfect !! 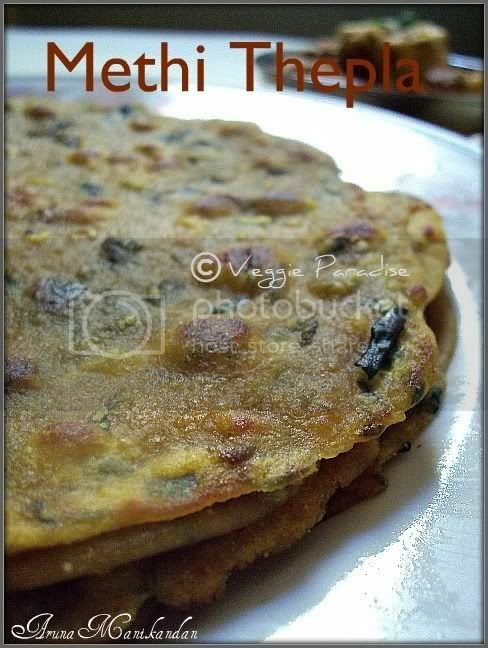 Delicious methi teplas looks yummy n'delicious. My all time favourite thepla with methi as an ingredient. 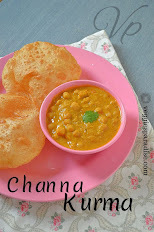 very delicious and my hot favourite paratha. Looks delicious, this is one of my favourites! It looks soft & delicious. Nowadays i make often for my hubby's lunch box . Healthy combo and looks fantastic! Very healthy nutritious and delicious theplas. My fav. One of my fav.looks delicious and healthy. 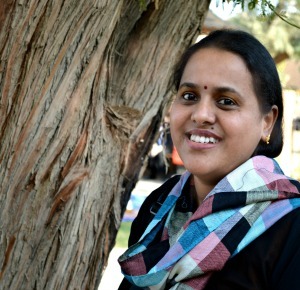 Hi Aruna,A Versatile Blogger Award is waiting for U at my space.Come and collect it pls. Thelpa looks perfectly made. Great for breakfast and healthy as a snack too.